Molde is a small town that lies roughly in between Ålesund and Trondheim. While these famous neighbours sometimes steal the show, Molde has a lot to offer as well. It is a pleasant base for trips to the surrounding fjords, islands and mountains of the Romsdalen region. Molde lies on the shore of the Romsdal Peninsula, in the fjord region of Western Norway. It lies at a place where three fjords meet: the Moldefjord, Fannefjord and the Romsdalsfjord. The city itself is rather small, but has some interesting attractions. The Romsdalsmuseet is an open air museum that shows old houses from the Romsdalen region. 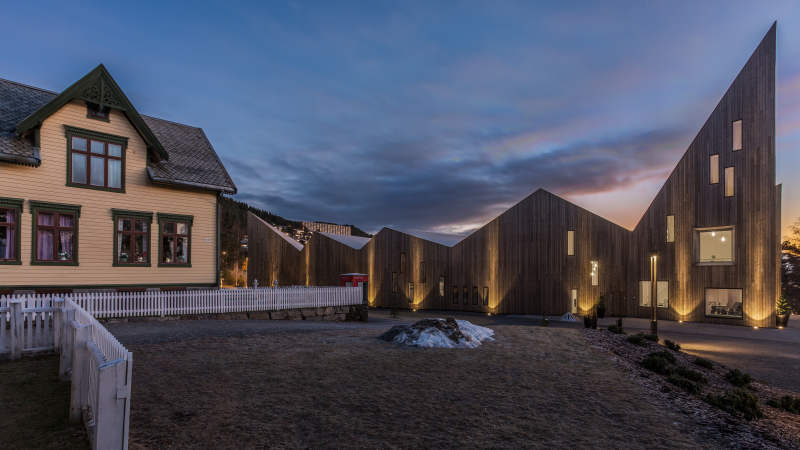 Recently, a brand new part of the museum opened, called Krona. Here you can learn even more about the local history, customs and traditions. An other interesting museum is the Fiskerimuseet, the Fishing Museum. Here you’ll learn everything about how it felt to be a fisherman in Norway. It’s located on the island of Hjertøya – you can get there by boat from Molde (takes around 10 minutes). You want something more active? The Moldebadet is an indoor swimming pool with slides, saunas, jacuzzis and more. If you want to get an overview of the beautiful surroundings of Molde: Take the 1-hour hike to Varden. Every year during July, the town completely transforms itself into a buzzing groovy city, during the famous Molde Jazz Festival. During an entire week, the whole town seems to party, and there’s a lot of other activities going on. 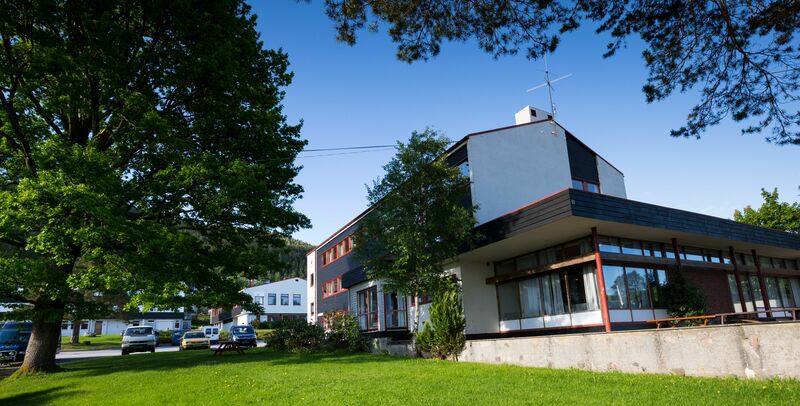 Our hostel in Molde is opened during the summer season (May til August). It lies in the centre of town, and is used as a school during the rest of the year. We wish you a warm welcome!